OMAHA ARBY’S CRAFTED A BRAND NEW LOOK! Arby’s, located on 53rd and Center in Omaha, NE recently reopening with Arby’s signature design details include white subway tile, multi-toned wood walls, chalkboard graphics, bright red chairs, contemporary overhead lighting and an eating bar. 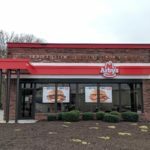 NEW ARBY’S IN NORWALK, IA- NOW OPEN! 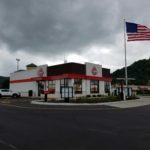 NOW OPEN- WINONA, MN ARBY’S! Arby’s on 409 South Duff Ave in Ames, IA is getting a brand new look! You can visit our newly remodeled location for your favorite Arby’s treat. June 21-23 is our Grand Reopening Celebration! We have special food deals like 99 cent Roast Beef Classic sandwiches! A brand new Arby’s is now open at 2645 Monroe Road in De Pere, WI! Plan on stopping by our Grand Opening Celebration June 28-30 for fun, prizes and food specials! 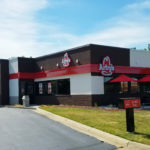 NOW OPEN- Arby’s 918 S Black River Street in Sparta, WI!